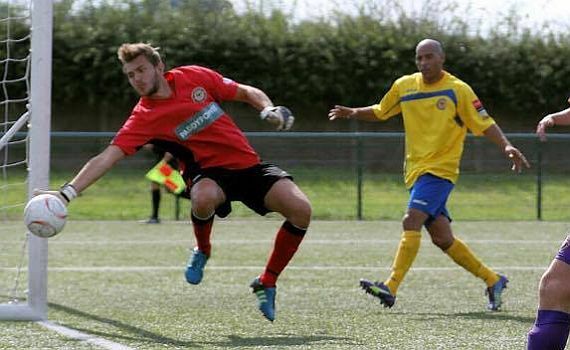 Former Jacks keeper Joel Driscoll has found a new home in the UK, and starred on his debut to help Southern League Division One Central side Farnborough FC to their first silverware of the season, winning the four-team Hendon Invitational Cup last month. Farnborough boss Spencer Day reckons he’s landed a major coup in goalkeeper Driscoll, and has let the current keeper leave. The 19-year-old, who had two spells with the Jacks and played in the academy sides and the under 18’s, was scouted by Arsenal in 2013 after emerging as one of the A-League’s most promising young keepers with Perth Glory Youth side. The one regret Driscoll does have is leaving Perth Glory, but that was totally out of hands, and in hindsight it was for the best. “When I was told to leave the club after a question from my father about the lack of coaching for the junior keeper upset certain people at the club, I decided I wanted a change and was lucky enough to have accommodation just outside of Reading,” he explained. “My agent contacted a few clubs within travelling distance and luckily was able to get a trial at Farnborough.